If you're concerned about preserving natural resources, lowering harmful greenhouse gas emissions and promoting food sustainability, experts look at the crossroads where diet choices and environmental preservation meet. Weight loss and health benefits are key components of the U.S. News Best Diets rankings. But which popular diets are best — or worst — for the environment? If you’re concerned about preserving natural resources, lowering harmful greenhouse gas emissions and promoting food sustainability, experts look at the crossroads where diet choices and environmental preservation meet. — Flexitarian. Limiting your meat servings helps reduce the environmental toll of land, farm machinery and feed used to raise livestock and the air pollution from greenhouse-gas emissions. — Keto. Fat-burning diet can be hard to follow and hard on the environment. — Mediterranean. This top-ranked diet is healthy and eco-friendly, but consider seafood sources like fisheries and their sustainability practices to avoid overstressing the seafood supply. — MIND. Dementia-prevention diet is environment-friendly — just avoid air-freighted berries. Jet transportation affects the climate more than other food-shipping methods. — Nordic. Seeking locally sourced foods can ease your carbon footprint. — Paleo. Beef is a mainstay but its resource-heavy production could be unsustainable. — Vegetarian and vegan. Plant-based diets eat up fewer natural resources. “It’s been apparent for a long time that we are really stressing our environment in a dangerous way,” says Dr. Walter Willett, a professor of epidemiology and nutrition at the Harvard T.H. Chan School of Public Health and a professor of medicine at Harvard Medical School. Willett is part of an international team that developed a new planetary health diet with strategies to promote better health and sustainable food production worldwide, published Jan. 16, 2019, in the journal Lancet. “Different foods have different resource requirements,” says Richard Waite, an associate with the World Resource Institute’s food program. “It takes more land or more water, or causes more greenhouse gas emissions to grow the food,” explains Waite, a co-author of “Creating a Sustainable Food Future,” a WRI report. Shifting your diet from animal- to plant-based foods makes a measurable difference. A vegetarian diet requires about half the land and emits about half the greenhouse gases as the average U.S. diet, according to WRI figures. Beef production has an outsized impact on farmland use, the global water footprint and climate change. Without giving up meat entirely, you can still make positive changes. Eating pork or poultry instead of beef, boosting plant foods and reducing animal-based protein in your diet all help. People worry that they won’t get enough protein if they eat less meat. In reality, most people take in far more protein than they require. The average American man eats nearly twice as much protein as he needs, according to the WRI report. With vegetarian and vegan diets, going meat-free is the common denominator. Vegan eating — which excludes all animal products including dairy and eggs — is stricter. Both can encompass basic characteristics of a diet that’s healthy as well as environmentally friendly, says Nicole Tichenor Blackstone, an assistant professor in the Division of Agriculture, Food and Environment at the Friedman School of Nutrition Science and Policy at Tufts University. Leaning toward plant-based foods, but allowing fish, eggs and the occasional meat fix, the Flexitarian diet may be easier to stick with, while still reducing food strain on the environment. Ranked the No. 1 Best Diet overall, the Mediterranean eating pattern focuses on fruits, veggies, whole grains, beans, nuts, legumes, olive oil and taste-enhancing herbs and spices. This eating style emphasizes foods — including fish and seafood — grown in areas around the Mediterranean Sea. Aquaculture — farming of fish and shellfish — also affects the environment. “Seafood has tremendous health benefits, but our global capture fisheries are at capacity and there are some serious ecological sustainability issues,” Blackstone says. In general, seafood tends to have a lower environmental impact than terrestrial, animal-based protein, Blackstone notes. “But you still don’t want to be consuming massive amounts of seafood,” she says. 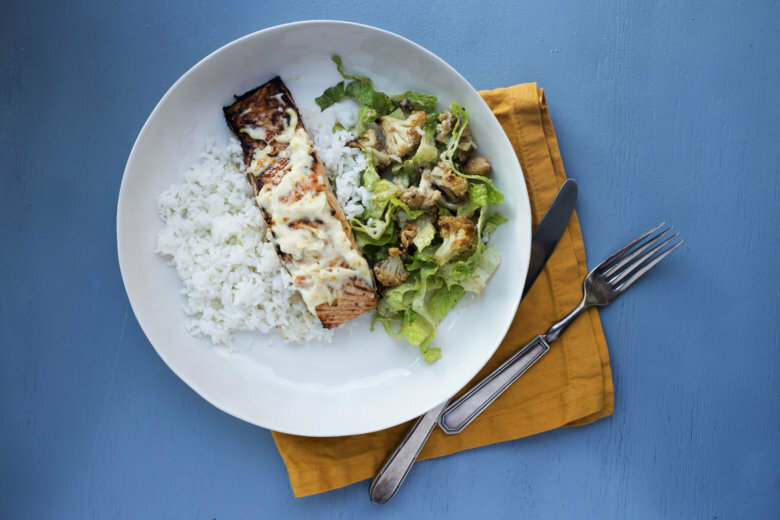 The latest USDA Dietary Guidelines for Americans call for two servings of seafood per week. Willett says a traditional Mediterranean diet is a “good fit” for a healthy, environmentally friendly way of eating. Combining Scandinavian-style eating with concern for the environment, Nordic diet concepts include eating more fruits, veggies and whole grains; using more foods from seas and lakes; choosing high-quality meat but less meat overall and seeking out more foods from wild landscapes. Using locally sourced foods is a key tenet. Air shipping of food has a more significant impact, taking a bigger environmental toll than transport by trucks, railways or boats. Meat, fish, poultry, fruits and veggies are staples of the Paleo diet, also called the Caveman diet. Refined sugar, dairy, legumes and grains are taboo because they weren’t readily available for eating during the Paleolithic era. Beef, lamb and goat meat all have similar environmental impact, but most Americans choose beef. Eating a lot of red and processed meats raises the risk for heart disease and some types of cancer. Keto is about slashing carb-containing foods and getting most of your calories from fat. That shifts your body to a state of ketosis, during which you burn body fat for energy. Meat, including beef and bacon, is fine on Keto. Leafy green vegetables are encouraged but starchy root foods like carrots are frowned on. Dairy is welcome as in Keto-inspired beverages like butter-infused coffee. The Keto diet ranks high among Best Diets for fast weight loss but low in terms of health. Lack of balance and nutrient restrictions are concerns. Merging two healthy diets — Mediterranean and DASH — the MIND diet adds a brain-health benefit. Emphasizing leafy greens, nuts and berries, among other foods, MIND may possibly help reduce the risk of Alzheimer’s disease, early research suggests. Blueberries in particular are a major MIND feature. Transport potentially could be an issue, Waite says, if you’re eating berries year-round but they’re flown in from afar during winter. “On the whole, fruits and vegetables aren’t very greenhouse-gas intensive,” he says. “They can take a lot of water to grow.” Consider whether you’re eating foods grown in a water-stressed regions affected by drought. Food waste is a major issue on a global scale and in individual kitchens. By minimizing food waste, you can reduce your environmental footprint regardless of which diet you follow. “In the U.S., we throw away one pound of food per person every day, just at the consumer level,” says Blackstone, co-author of a study on food waste, diet quality and environmental sustainability published April 18, 2018, in the journal PLOS One. That, she notes, translates to about a quarter of the food we eat. “When we’re throwing that food away, we’re not just wasting valuable nourishment, but all the resources that went into producing that food, like land, water and fertilizer,” Blackstone says. Highly perishable foods were big waste contributors, researchers found. That could involve meat for Paleo, seafood for Mediterranean or berries for MIND diet adherents. “Really thinking about how we plan meals, prepare and store food is key to reducing food waste at the consumer level,” Blackstone says.